More than 20 driveways and yards in the Menlo Oaks neighborhood were filled with items for sale and for free in the community’s first annual yard sale. Sponsored by Menlo Oaks District Association (MODA), the yard sale spanned 10 streets, including Menlo Oaks Drive, Berkeley Avenue, Colby Avenue, Peninsula Way, Arlington Way, Madison Way and parts of Coleman Avenue, Bay Road, Ringwood Avenue and Bay Road. 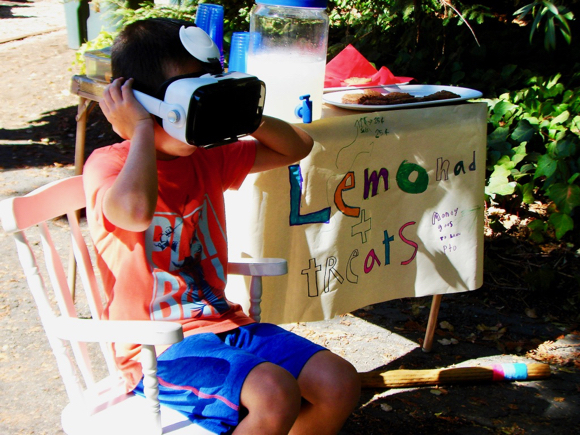 Four lemonade and cookie stands were managed by the neighborhood’s children, with proceeds going to the local PTO.